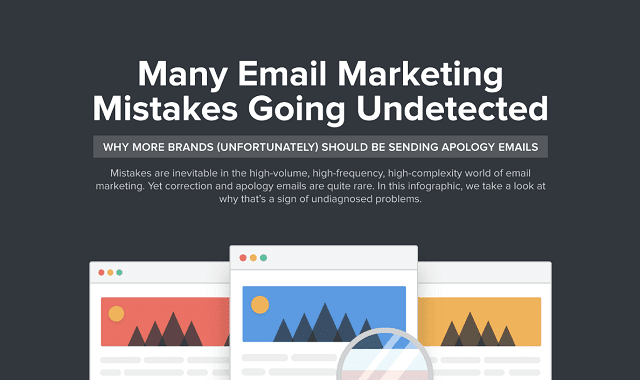 Many Email Marketing Mistakes Going Undetected #Infographic ~ Visualistan '+g+"
Mistakes are inevitable in the high-volume, high-frequency, high-complexity world of email marketing. Yet correction and apology emails are quite rare. In this infographic, we take a look at why that's a sign of undiagnosed problems.